I read. I write. I digress. Gosh, what a year! 2013 was a great year for me: there were travelling, new friendships, love, success in studies, and of course, the re-discovery of reading! I think what eventually got me back to reading was finishing Charles Dickens’ Bleak House (4/5) which all in all took me 1.5 years to read. It made me look for other books to read and also gave me the sense of enjoyment over finishing a long but good book. Soon after that I joined Goodreads and likewise finally finished Gone With the Wind (4/5) which had been standing on my shelf, half-read. Joining Goodreads and keeping track of my reading inspired me to read more and to look for new authors. Previously my reading was narrowed to authors I knew and had enjoyed. The recommendation feature was also handy because getting back to reading I wasn’t sure who to ask for recommendations. However, reading can be lonely if you have no-one to share your thoughts with. I eventually started to read more book blogs, follow a few booktubers, and finally in August, started my own blog. At the time I was intrigued by Tumblr – let me tell you, it’s addictive – so the Dawn of Books (version 1) started over there. However, after a couple of months I felt that the amount and speed of content was just too much for me, so in the beginning of October I switched over to WordPress and I’ve been here ever since. At the end of April, I set my reading goal low, 15 books in 8 months, in order to keep reading a fun hobby and not to overwork myself. However, I reached my goal already in September (with E.M. Forster’s A Room with A View being my 15th book). Now, on 30th of December, the number of books I’ve read this year stands at 36 (probably will be 37 if I finish And Another Thing by Eoin Colfer tonight). WOW! I could not have believed that I could read that much in less than a year. For next year, I might actually set my goal to 50 books, just to see if it’s possible for me to read that much. I’d like to thank all of my followers for making me smile and feel blessed. To all of you who have commented or liked my posts, thank you so much. You’ve made me feel like I’m not alone with these thoughts and that maybe I’ve managed to share my love for these books with you. I hope that 2014 will be an amazing year with lots of adventures both on the pages of books and in the real world. To end this post, I’ve decided to shortly list some of my best and worst of 2013. 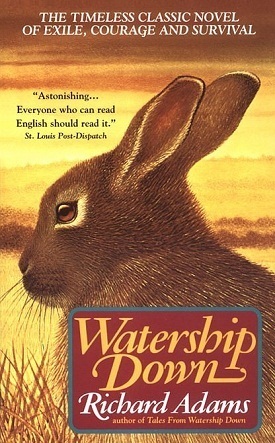 A classic tale of a group of rabbits setting out to the big world outside their warren. Beautiful and imaginative description of the rabbit world and their surroundings, the bravery and humanity. In a nutshell: it’s not just about rabbits. 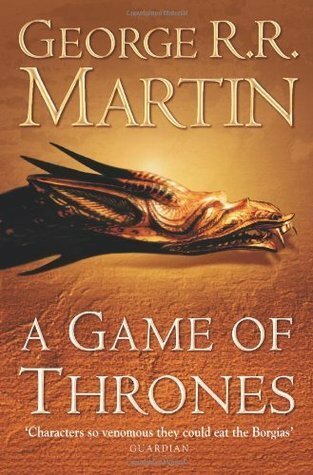 The first book in the A Song of Ice and Fire series, this book daunts with its size but stuns with the fluentness with which it creates the world and the characters before you. A fantasy of epic size and detail, it deserves all the hype it has already received. Recommended read for the first day of Autumn. Reading can be dangerous. 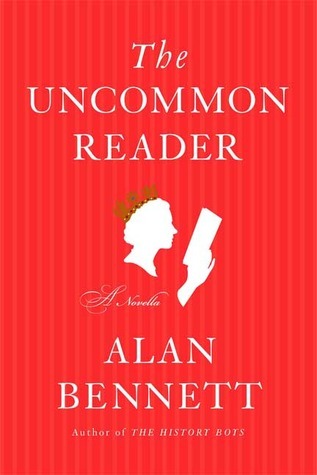 A fun and witty short story of the Queen of England discovering the secret world of books. Alan Bennett is a genius and the book keeps you laughing from start to finish. 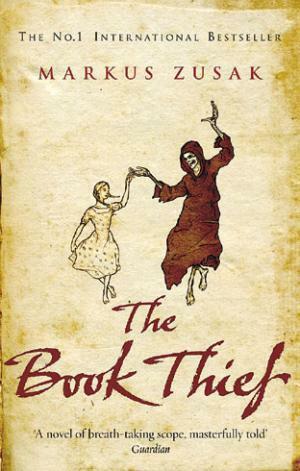 Second to last book of 2013, The Book Thief quickly jumped to the Top 5 books of the year. A touching story of a girl’s struggle in Nazi Germany, but not without lighter and heartwarming moments. 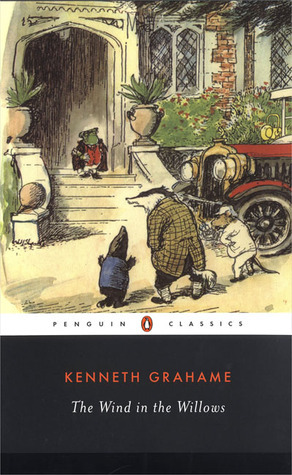 Book that was adapted to my favourite childhood animation movie of the same name, The Wind in the Willows has everything a good children’s book needs: excitement, friendship, magic, and absolutely beautiful writing. 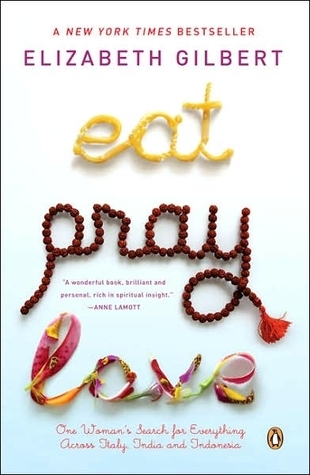 There were three books in 2013 that got 2/5 rating for me: Eat, Pray, Love; Silent Playgrounds; and Branded: The Buying and Selling of Teenagers. Out of these, I think the one that I was most disappointed by was Eat, Pray, Love by Elisabeth Gilbert. It was an experiment for me, but in the end I just didn’t connect at all with the thoughts of the main character and thus the writer. Reading is such a personal experience that I would not completely warn you off, but for me, this was not the book. 2013 was also a year of movies: either in theaters or at home, curled up on a sofa. I did not keep a diary of watched movies, but based on few markings in journals and a couple ticket stubs, I’d say that the best movie I saw in 2013 was The Intouchables (2011). The movie was so touching and for me, so original, that I just loved it. The friendship of the two characters, the gentleness and the roughness, and of course, the language. Loved it! This category is a bit unambiguous as me and my friends have this tradition of watching really bad movies together. We almost compete with each other in finding the worst movies for our movie nights. Watching these movies alone might be awful and boring, but with a bunch of friends it is often incredibly hilarious. I believe the worst movie that I watched this year was Hercules in New York (1969). The movie is awful, the plot is almost nonexistent and the entire movie is built around Arnold Schwarzenegger. HERE IS A SMALL FACT – YOU ARE GOING TO DIE. Liesel, a nine-year-old girl, is living with a foster family on Himmel Street. Her parents have been taken away to a concentration camp. Liesel steals books. This is her story and the story of the inhabitants of her street when the bombs begin to fall. SOME IMPORTANT INFORMATION – THIS NOVEL IS NARRATED BY DEATH. It’s a small story, about: a girl, an accordionist, some fanatical Germans, a Jewish fist fighter, and quite a lot of thievery. ANOTHER THING YOU SHOULD KNOW – DEATH WILL VISIT THE BOOK THIEF THREE TIMES. This book often comes across in the “Best books of 2013” posts. And for a good reason. The intriguing narrator, the topic, and generally the book itself just make such an impression on a reader that it is hard not to like it. The perspective of a young girl in Nazi Germany has been explored for example in The Diary of a Young Girl by Anne Frank, but this time the point of view is that of a “regular citizen” and shows how it was not just the Jews who lived on the edge, trying to survive. The story starts with the narrator, Death, who explains how he got to know this story, and how it will turn out. We follow a small girl, Liesel, who is adopted by the Hubermann’s because her parents are taken away. Most of the story takes place in Himmel Street, Munich, a poor neighbourhood filled with different characters that all have a story to tell. The queer thing about Liesel is that she steals her first book, a gravedigger’s manual, even though she can’t read. Learning to read and write, Liesel slowly discovers the power of words, stealing more books as the story continues. I loved how in the beginning of the book Zusak slowly introduced the Nazism through colours and symbols; it was brilliant. I also loved the small German snippets that were included in the dialogue as well as the small notes that the narrator makes. The characters in The Book Thief are diverse, showing the different sides of humanity. Despite the narrator giving half of the story away in the beginning of the book, the general sense while reading this book for me was the agonising wait for the things to actually happen. Turning the page you fear for the future to come too soon. I also loved how the book wasn’t too explicit, challenging the reader to make some of the connections herself/himself. I’d definitely recommend this book to almost everyone. However, you might first want to recap that WWII history a bit just to understand some of the references. What can I say about this book? Almost everyone who reads books has read this book and most of them also love it. Just peek at the Goodreads rating: an average of 4.50 stars with over 430,000 ratings. There are several great reviews of this book, and as I fear mine will not do justice to the book, I will link a few (spoiler-free) ones down below. The author John Green was one of the names that was brought to my knowledge soon after I started blogging about books, and so far I’ve only read An Abundance of Katherines which I thought was fun and exciting. 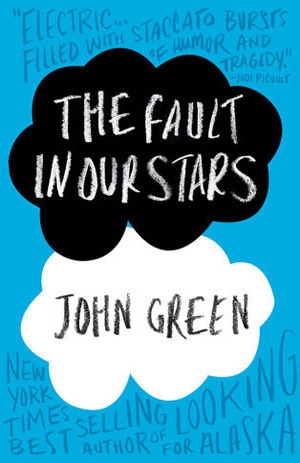 I’ve been meaning to read The Fault in Our Stars for the past 6 months but since it’s highly popular in the library, I never got the chance to read it. The story is of a 16-year-old Hazel who has a terminal cancer that has also caused her to have crappy lungs. She avoids meeting her peers and spends most of her time on alone or with her parents. The few contacts she has are the people in Cancer Kid Support Group, whereupon she encounters Augustus Waters, a 17-year-old cancer survivor. These two soon connect and the rest is… history. The book has a lot of whitty dialogues, metaphors, and pondering on deeper questions. But it also has teen angst, video games, and drama which balanced the darker themes and made the book more realistic. The writing was grand and I just knew right after finishing it, that I would like to read it again soon. John Green has a very specific style of writing and I do think that he creates very relatable characters. The fun thing about this book is that it’s not just a “cancer book”. Yes, it is sad and philosophical, but it’s also funny, sarcastic, and makes you want to read more. However, I did cry – a lot. I’m very happy that I bought my own copy of this book because I would not like to be forced to part with this book anytime in the near future; I still can’t quite put my head around it. I didn’t think I’d be buying any books during the last months of 2013. I honestly didn’t. However, as some of you might have noticed from my Reads and TBR post, in the end of November I decided to reward myself with two books at the end of the semester. And the day has come! The semester is over! To make sure that the novels I wanted would be available, I ordered them to be picked up from my nearest book shop where I collected them yesterday. Hurray! I’ll be travelling home for Christmas and have decided that these two will be my official holiday reads: The Fault in Our Stars by John Green and The Book Thief by Markus Zusak. I’m very excited for both of these books although I try not to put the cart before the horse. And after I had ordered the two books, it was too easy to break the resolve again. 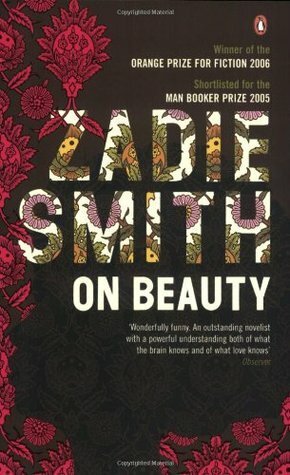 Last weekend I was browsing the bookshelves in a charity shop when On Beauty by Zadie Smith caught my eye. It was in prime condition and cost only 2 euros, making the offer too good to be turned down. I’ve not read Zadie Smith before (except for a short excerpt in an ESL text book) but I’ve heard good things about her and I hope to read this book some time in the beginning of next year. Also, it seems that the covers in Zadie Smith’s books are all stunning – take N-W and Changing My Mind for example. I wish you all have a wonderful Christmas/holiday season and get loads of bookish presents! Cheers! 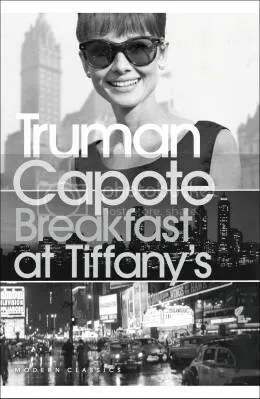 Truman Capote’s Breakfast at Tiffany’s is a brilliant glimmer of the excitement of 40’s New York. Holly Golightly – brashly beautiful with a slim black dress, a mysterious past and dark glasses over varicoloured eyes – entrances all the men she meets, including the young writer living above her, though her recklessness may yet catch up with her. Also containing three short stories, ‘House of Flowers’, ‘Diamond Guitar’ and ‘A Christmas Memory’, this book shows the elegance and warmth of Capote’s writing at its most flawless. Breakfast at Tiffany’s is one of my favourite Audrey Hepburn films – my favourite is Sabrina, which is also a book that I’d recommend to read. I think she was a wonderful actress who also had heart to help others. 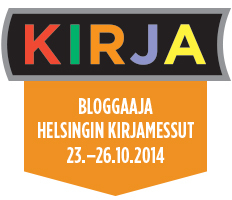 So when I found this book at the Helsinki Book Fair, I was wondering whether it would be any good. The edition that I read contains also three other short stories by Truman Capote. 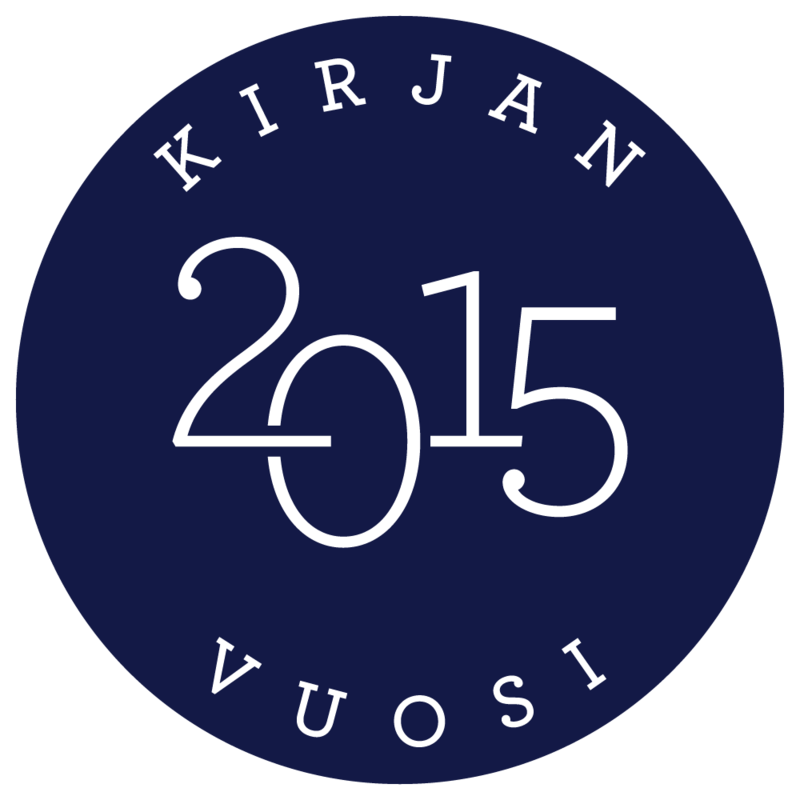 The book was translated into Finnish so that Breakfast at Tiffany’s, House of Flowers, Diamond Guitar were translated by Inkeri Hämäläinen, and A Christmas Memory was translated by Kristiina Kivivuori. Those of you who have seen Breakfast at Tiffany’s might know the basic storyline: The story is told from the point of view of a young male writer who moves to an apartment in New York and gradually becomes acquainted with his downstairs neighbour, Miss Holiday Golightly. Holly is not like the other women and seems to live in a fantasy world created by her rich admirers. With the balance of youthful playing and partying, and the reality of work commitments and on-going World War Two, is interesting to see how the characters react when faced with problems. To be honest, I was a bit disappointed with Breakfast at Tiffany’s. Blake Edwards’ film is pretty loyal to the book, with a few exceptions. However, the downfall for me was the translation. It was at times wonky and didn’t support the story. At some point I gave up and tried to focus only on the plot, not the writing. Capote is a terrific writer, as proven in the three short stories, but for some reason I didn’t get as much enjoyment reading Breakfast at Tiffany’s as I did with reading the short stories. The description of the settings and the tone of writing in them was just beautiful. My favourite of the three was A Christmas Memory which, funny enough, fits the upcoming holiday season. The story was just heartwarming and with the few twists, entertaining to read. All this being said, I do think that Capote’s Breakfast at Tiffany’s is recommendable – at least to all those who love the film. What happens when the one that got away comes back? Rachel and Ben. Ben and Rachel. It was them against the world. Until it all fell apart. It’s been a decade since they last spoke, but when Rachel bumps into Ben one rainy day, the years melt away. Yet in that split second, Rachel feels the old friendship return. And along with it, the broken heart she’s never been able to mend. This book was recommended to me by a friend and as I have not read chick lit for a long time, I didn’t go to this book with great expectations. Based on the back cover, I probably wouldn’t have picked it up. I’m not big on the thirty-something getting back to dating, whoops-I-think-I’m-a-bit-rusty-in-this-game (yes, I’m looking at you Bridget Jones). Mostly because I find it a bit too overdone. You Had Me At Hello starts with Rachel returning home after a long week at work. The reader finds out that, actually, she’s engaged to this guy who she has been dating for 13 years. And a chapter later, they’ve broken up, and Rachel’s looking for a new start. Talk about starting with a bang. The narrative of the book is divided between present Rachel, 31-year-old court journalist, and past Rachel, in her university years, reciting her friendship with Ben. The main story focuses on Rachel and her relationship with Ben, whom she meets after 10 years of silence. One of the mysteries in the book is the unspeakable event that lead the two best friends to shun each others company for an entire decade. Besides Ben and Rachel, the book naturally features a bunch of side characters, some more entertaining than the others. The main character, Rachel, deals with making her own decisions and the separation as well as issues with friends, family and work. In this sense the book is very similar to other chick lit novels. All of this is done with a tongue-in-cheek attitude as the puns and jokes can be found in almost every chapter. It made reading an entertaining experience although at times the constant joking felt a bit forced. I’m also not sure if I liked the ending. 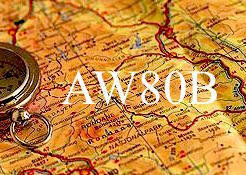 In a way it was what I had hoped, but somehow it seemed like it didn’t connect with the book as a whole – like the author had had a change of heart at the last moment. 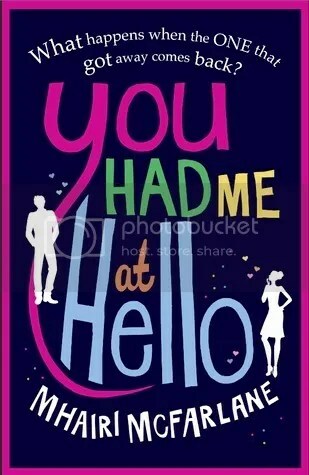 All in all, You Had Me At Hello was an entertaining book but left room for improvement. I like the city late at night, the blasts of music and the splashes of light cast from bars that are still open, shoals of brightly-dressed clubber, the beeping taxis and the greasy, savoury smell of meat and onions from the burger vans. Will is twelve years old and he’s just killed a man. Now he’s on his own, on the run, determined to discover the truth about his father disappearance. Then Will steps through a window in the air into another world, and finds himself with a companion – a strange, savage little girl called Lyra. Like Will, she has a mission which she intends to carry out at all costs. But the world of Cittàgazze is a strange and unsettling place. Deadly, soul-eating Spectres stalk in its streets, while high above, the wingbeats of distant angels sound against the sky. And in the mysterious Torre degli Angeli lurks Cittàgazze’s most important secret – an object which people from many worlds would kill to posses. Having read The Northern Lights (or Golden Compass, as it is known in the US) in September, I was carefully excited to start the second book in the His Dark Materials series. The series was voted third on the BBC’s The Big Read list, but personally I wasn’t completely enthralled by the first book. The story started really slowly and I wasn’t a big fan of Lyra, the main character. But as the book set sail, I started to get more into the story and the ending was such as surprise that taking the entire book into consideration, I gave it 4 stars. The Subtle Knife starts with Will, a 12-year-old boy who brings her mother to an old piano teacher so that she will be safe. For years, Will has been protecting his mother and in the beginning of the book, accidentally kills a spy. He runs away, stumbles into a new world and meets Lyra. I almost instantly loved Will. In the first book, one of my main problems was that I didn’t like Lyra and thought her at times very childish. However, Will is more mature for his age and through him I eventually also started to like Lyra. The book drew me in and as the plot thickened, I could not stop reading. Again, the plot twists at the end of the book took me by surprise. Similar to the first book, the ending was such that I longed to start reading the next one immediately. The side characters in the series definitely make it more interesting. It was fascinating to see how the point of view shifted from one person to another, giving glimpses of their views. Also, I did very much enjoy the discussion on religion and power. The theme is very heavy, but Pullman has managed to write it into a more digestible form. In fact, I did read a review that suggested that Philip Pullman had actually re-written Milton’s Paradise Lost – for children! This seems true because reading the series, I keep forgetting that it was written for children. The plot is not an easy one and I can see that there are scenes that would be challenging for a child reader. Had I read this much younger, it might have had a huge impact on my way of seeing the world. However, that is not to say that the book doesn’t still make me think or challenge me. 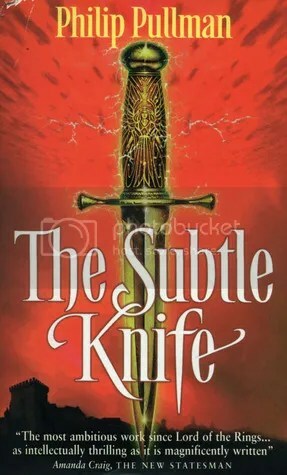 The Subtle Knife improved the series in my eyes and raised the expectations for the final book, The Amber Spyglass. My review of The Northern Lights (#1) AND The Amber Spyglass (#3). Wow, November truly flew by. With a bunch of uni work, a couple translations, and a whole lot of student events, it was sometimes hard to find time for reading. Luckily I had, however, chosen a few shorter book so that I did get to experience the satisfying feeling of finishing a book. I blogged about all the books I read, which is great, and I read books both in English and in Finnish. 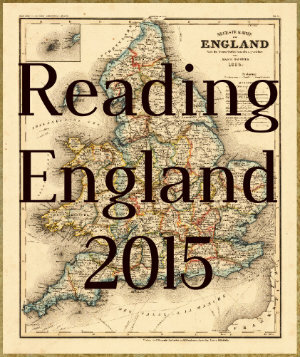 Overall, the books I read in November were all quite good and the average rating was 4 stars or higher. Most of the books were on my November TBR but because I went to the library in the middle of November, I did end up picking quite a few book that I just could not ignore. For example Juha Itkonen‘s novel was a spur of the moment kind of thing. On the other hand, I was supposed to read Macbeth in October but in the end finished that one on the 1st of November. All in all, I’m pretty proud of myself although I still keep avoiding Wuthering Heights. Hence, I have decided to place it back on the shelf and maybe try again next year. I just don’t want to feel like I’m forcing myself to read this book. Now, confession time: I have not read TFIOS or The Book Thief. I know these two books to be very hyped up in the book blogging world at the moment and I’ve done my best to avoid being spoiled. In fact, probably the biggest reason why I have not read these books is that I don’t have them in my bookshelf. I rarely buy new books or books that I haven’t read before – my preference is to loan them from the library rather than to buy myself a copy. But that is about to change. I’ve promised myself that if I get through all my courses in December, I will go and purchase these two books as an early Christmas present for myself. I might actually order them to my local bookstore to make sure they will be in store by then. But yeah, this will be my TBR for the end of 2013. If you have read any of the books mentioned, please leave a comment (no spoilers, please!) and tell me which one I should read first. 5/5 – Ah-mazing! Became one of my favourite books. Noora has completed her goal of reading 52 books in 2016!